Wanda J. Martin, EA — founder and owner of WJM Accounting Service, LLC — is a certified QuickBooks Proadvisor and certified Xero advisor. She offers a range of services which include bookkeeping, income tax preparation, notary public, small business and startup consulting, as well as support on accounting software such as QuickBooks, Sage, Tsheets, and Xero. 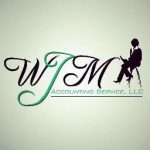 Work For WJM Accounting Service, LLC? Claim This Page.